We work with clients to strategise and transition to appropriate service delivery models that include shared services and third party providers. Many organisations are seeking to realign and streamline their business support structures and service delivery strategies to deliver greater efficiency. There is a growing desire to create greater business agility and flexibility, transform fixed costs into variable costs, seek quicker returns on investment and reassess risk and business exposure. As a result, service delivery models that incorporate shared services and/or outsourcing, usually using an onshore/offshore model as a means to achieve corporate objectives, are becoming the norm. 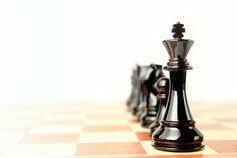 These decisions are strategic by nature and are Increasingly made at the board level. For organisations who have already transitioned to a shared services and/or outsourcing model, it is not about cost-cutting and labour arbitrage, but on maturing the model and extracting greater value. Ongoing investment and a focus on optimising the service delivery model is required from enhancing governance to ensuring benefit realisation and risk mitigation, through to re-negotiation and realignment of existing agreements. Our objectivity from service providers and experience in providing advice to clients on over 4000 sourcing engagements globally means KPMG is well positioned to assist clients with analysis and decision making around sourcing arrangements. KPMG’s Shared Services & Outsourcing group works with clients to strategise, design, establish and transition to the most appropriate service delivery model, whether services are delivered through third party providers or internally through a shared services centre using an onshore or offshore model. Once a service delivery model is in place we assist in long-term enhancement with the aim that the model continues to support the client’s strategic objectives. KPMG assists clients to strategise and identify the most appropriate service delivery model for IT services and business functions such as HR, finance and accounting. In addition, we help clients identify, compare or assess, select and negotiate outsourcing arrangements with third party providers. These services include the design, establishment and operational support of the client’s governance functions to enhance how services are delivered and drive value from outsourced relationships. Supplier Governance Services help organisations address the loss of value by transforming contract management through technology enabled change. 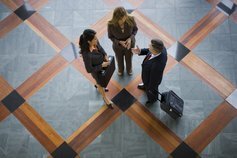 KPMG’s Supplier Governance Services can help transform how contract management is delivered enhancing return on investment. KPMG's Andrew Peel shows why sound supplier governance management is essential. Shared services and outsourcing – A robotic future? KPMG explores how disruptive technologies and robotic process automation will impact the future of shared services and outsourcing. Michael leads complex sourcing-related engagements across the full sourcing lifecycle.